Pet obesity is a growing problem in Australia. Overweight and obese pets are at risk of serious health problems, such as heart disease and diabetes. Today is Pet Obesity Awareness Day, so Dr Alan Bolton is shining the surgical spotlight on the problem, and sharing tips on how to keep your pets healthy and active. This information is general. For advice specific to your pet, please speak with your vet. What causes weight gain and obesity in pets? Weight gain and obesity are often caused by a combination of over-feeding and lack of exercise. But, in some cases, an underlying medical problem may be the cause. When you look at your pet side-on or from above, they should have a visible waist. You should also be able to feel their ribs, but not see them (except for dog breeds such as the greyhound or whippet, where the last ribs may be visible). Your vet will be able to help you choose a suitable diet for your pet’s individual needs. Most of your pet’s diet should consist of a good-quality commercial dry food. Dry food has the added benefit of helping to keep your pet’s teeth clean. You can also feed your pet raw meaty bones. Never feed cooked bones, as these can splinter and become a choking hazard. Talk to your vet about what kind of bones are suitable for your pet, and always supervise your pet when they’re eating a bone. 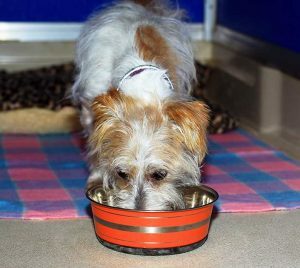 Some foods that humans eat are toxic to our pets, such as chocolate, avocado, onion, garlic and grapes, among others. If in doubt, make sure you check whether a particular food could be harmful to your dog or cat. Supplement dry food with fresh human-grade raw or cooked meat, such as lamb or beef. Meat provides protein and fats, while dry food provides vitamins, minerals and roughage. You can add some vegetables as the occasional treat, such as carrots, green beans or cooked potatoes. Cats are obligate carnivores, so meat must form part of their diet. In addition to good-quality commercial dry food, offer some fresh human-grade raw meat, like chicken or lamb. Good-quality wet canned food is another option. Tinned fish in springwater, such as tuna or sardines, can be given as an occasional treat. Yes! It’s ok to treat your pet. In fact, treats are a great reward tool for positive reinforcement training. Make sure you treat your pet in moderation and avoid the toxic foods listed above. If your pet gets regular treats, you may need to cut back the amount of food in some of their meals to accommodate the extra calories. 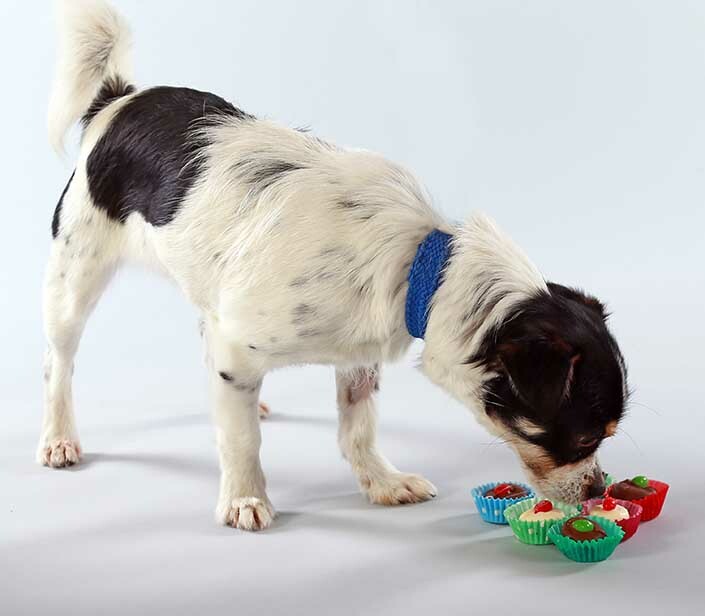 Your vet will be able to tell you more about your pet’s recommended calorie intake. At least 30 minutes per day is ideal. Walking is a great and simple option, but try to vary your route so your dog doesn’t get bored. Walking is also a great source of mental stimulation, as there will be lots of new sights and scents. You may choose to mix up your dog’s exercise regime with an off-lead run in a secure area or a swim at a dog-friendly beach. Only let your dog off-lead in and enclosed area or if you are confident you can recall them. Be a responsible pet owner and never walk your dog off-lead on a street or road. At least 20 minutes per day is ideal. If your cat has access to the outdoors, they’ll usually get this exercise on their own. 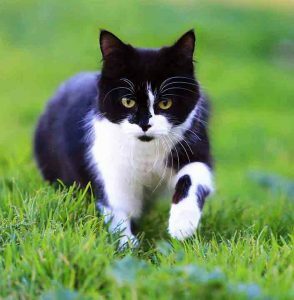 If you have an indoor cat, you’ll need to be more proactive and set aside daily playtime. Fishing-type toys (such as Da Bird) are a great option and lots of fun for both you and your cat. Cats also need to scratch regularly to sharpen their claws, get rid of dead skin and exercise, so it’s important to provide at least one scratching post. If your pet’s exercise regime slowed down over the cooler months, be sure to gradually re-introduce them to physical activity. Suddenly increasing the amount or intensity of your pet’s exercise puts them at risk of injury. 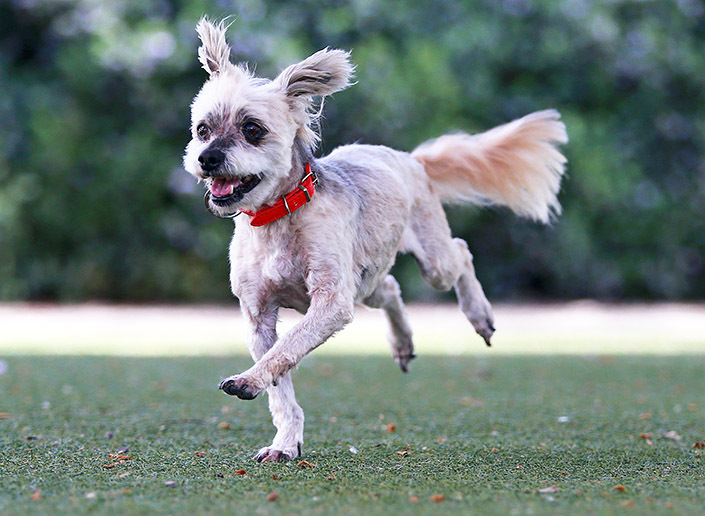 I hope this information helps get your pet on track to a healthy, active life. Remember, this information is general. If you have questions or concerns about your pet’s health or well-being, speak with your vet. This will be my last pet advice article for The Lost Dogs’ Home. After almost 12 years at the Home, I’m returning to Ireland to take on a lead veterinary role with the Ulster Society Prevention Cruelty to Animals. Helping you – our valued clients – with the care and treatment of your beloved pets has been one of the main highlights of my time here at the Home. And of course, few things have brought more joy than seeing former shelter residents visit us again as beloved family pets. Thank you for your wonderful support.